This wine estate dates from the end of the 18th century and has been totally renovated, welcoming visitors to its cellars. Wine tastings and shop. The Henriquet family invites you in its wine cellar (that has been built in the 18th century), in order to introduce you to the Wine Making industry and to the nursery gardening. 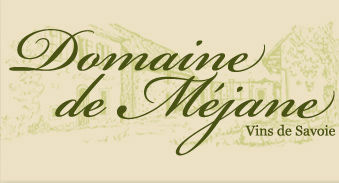 Here, you can watch the movie "the local side of Méjane" and visit the cellar and try some wine of Savoie. Le dimanche sur rendez-vous uniquement.